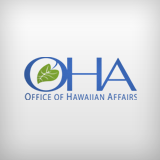 HONOLULU (June 29, 2017) – The Board of Trustees of the Office of Hawaiian Affairs (OHA) today approved $6 million in grants over the next two fiscal years to programs benefitting the Native Hawaiian community. The 23 organizations receiving grant funding will help OHA meet its Strategic Plan priorities relating to housing, income, health, education and culture. The funds will be disbursed for fiscal years 2018 and 2019. “After a thorough vetting by staff and our board, we are proud to announce the selection of these highly qualified programs to receive OHA grant funding,” said OHA Chair Colette Y. Machado. “We understand that of the many services we provide to our beneficiaries – including research, advocacy and managing our lands – these community grants are especially critical because they make a difference in the lives of individual Native Hawaiians and communities that need kōkua the most,” said OHA Chief Executive Officer/Ka Pouhana Kamanaʻopono Crabbe. To provide culturally-relevant, place-based financial literacy education, HUD-certified housing counseling and asset building products to low- and moderate-income Native Hawaiians to improve their capacity to own or rent homes. To provide financial literacy training and matching funds for asset purchases for young people ages 14 through 25 who were in foster care. Eligible asset purchases for Native Hawaiians include obtaining stable rental housing (security deposit/first month’s rent). To educate the Native Hawaiian populations on Maui and Lānaʻi in effective financial literacy strategies with the goals of long-term economic self-sufficiency and successful homeownership. To provide education and training and career support services, in partnership with University of Hawaiʻi Community Colleges, to eligible Native Hawaiians to improve their ability to obtain higher-wage employment, thereby increasing their economic self-sufficiency. To help Native Hawaiian ex-offenders and other low-income women establish economic security by providing experiential and learning opportunities related to employment, financial literacy and work/life balance. The project empowers students and families to improve their overall health to address the disproportionate burden of overweight, obesity and associated negative health outcomes. The evidence-based approach builds on the success of a two-year pilot project in engaging students and families to increase physical activity and nutrition knowledge. The project will deliver a nutritious, consistent and culturally-relevant school meal program and strengthen health-related education within two Hawaiian public charter schools to improve the health and lifestyle choices of students and families. The project aims to improve the health of Hawaiian women recovering from substance abuse and addiction and prevent obesity and reduce weight gain related to cessation of tobacco, methamphetamine and other drugs, by engaging women in Hawaiian cultural practices that support health and by providing information and skills to live a healthy lifestyle. The purpose of this project is to implement a culturally-relevant, community-based program based on direct (physical activity, clinical assessment) and prevention services (education, research) to reduce the rate and severity of obesity among Native Hawaiians, to improve well-being and reduce the burden of cardiovascular risk factors. The purpose of this project is to provide comprehensive after-school programs in five Title I middle schools to improve Native Hawaiian student proficiency in reading and math. The Mohala ʻIke Project will strengthen academic success for Native Hawaiian and other club members by skillfully instilling lifelong learning habits in the youth of five Boys & Girls Club of the Big Island communities (Hilo, Keaʻau, Pāhoa, Pāhala, Kealakehe) through culturally responsive, experiential academic support delivered by caring club mentors. The project provides comprehensive instruction utilizing culture-based pedagogy, combined with a variety of educationally enriching activities, designed to increase the number of Native Hawaiian students in foster, kith, and kinship care, to meet and exceed reading and math standards, to achieve yearly grade promotion, and to graduate. To train translators with a skill set for the future generations of Hawaiʻi and to translate an important historical narrative resource. This project builds on cultural and historical resources and provides cultural grounding with historical illumination in many fields. To perpetuate Hawaiian cultural practices and educational methods while strengthening bonds within and between ʻohana for Hawaiians in the Waimānalo community and to contribute to the vision of “a board and stone in every home” and “a waʻa for every family”. To increase and perpetuate traditional knowledge and cultural practices around childbirth, Native Hawaiian wāhine hāpai and their kāne, cultural practitioners, and health professionals will learn cultural birthing practices, empowering families to give their child a strong foundation in life while strengthening the Lāhui. To preserve and perpetuate the customary Hawaiian cultural practices of traditional ʻōpelu fishing as handed down to the fishermen of Hoʻokena and the greater South Kona region by reintroducing seasonal closures to allow time for regeneration of fish stocks and increased fish catch and to train a new generation of ʻōpelu fishers. To increase the number of cultural practitioners in the area of ʻieʻie basketry by providing cultural-based experiences through lectures, resource gathering, workshops, and promoting opportunities for the Hawaiian community to connect with their heritage. To perpetuate hula by providing instruction and creative spaces to Native Hawaiian kumu hula and hālau hula to continue to share and teach hula, to increase the number of Native Hawaiian ʻōlapa, hoʻopaʻa, and kumu hula, and to develop access to and interest in hula for future generations of Native Hawaiians to ensure these practices continue. To plant and maintain a six-acre native habitat kīpuka, for use by Native Hawaiian cultural practitioners and their students, which restores native flora and fauna, enhances the watershed, perpetuates cultural practices, and creates a template for sustainable restoration. To tend, honor and grow a place of peace and safety for the native dryland lama forest of Kaʻūpūlehu, within a regional homeland context, fostering restorative kinship relationships between community and ʻāina, utilizing educational stewardship, traditional ecological knowledge, contemporary and institutional scientific methods. A collaboration between Ka Honua Momona of Molokaʻi and Waipā Foundation of Kauaʻi to grow environmental resources, cultural practices and financial sustainability, ultimately ensuring abundance for Native Hawaiians and future generations. To restore, revitalize, and preserve the Waikalua Loko Fishpond; to inspire, educate, and practice the art and engineering of Hawaiian fishponds as a catalyst to restoring Kāneʻohe Bay and the near shore fisheries environment; and to help re-connect the ma uka to ma kai in the ahupuaʻa of Kāneʻohe.